Clicking shoots the weapon and moves the player. Stop shooting allows the player to charge the weapon and jump hazards. 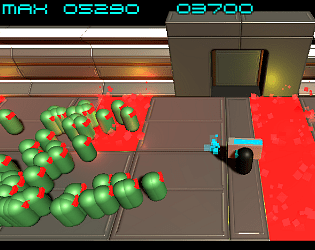 The breakable boxes are used as normal blockers, but gives the player the choice to turn the weapon and destroy it or go around.